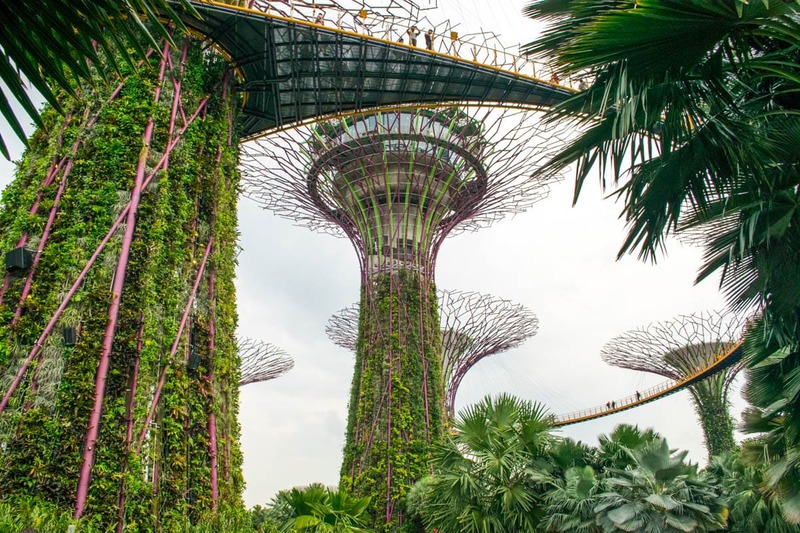 From lush gardens, hawker centres and Little India, to futuristic cityscapes, Michelin starred restaurants and Chinatown, it’s time to find out the best things to do in Singapore in 2019! I’ve just returned from my first trip to Singapore, and WOW this small country has a lot to shout about! With just a few days to explore the city, I packed a lot in. Food was a big part of it, as I love getting to know a destination through its cuisine! 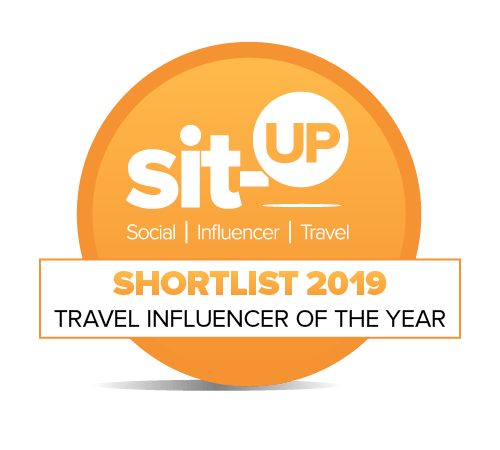 I saw the city’s best views, snapped photos of colourful street art, explored temples, learned about feng shui, marvelled at the architecture and more! 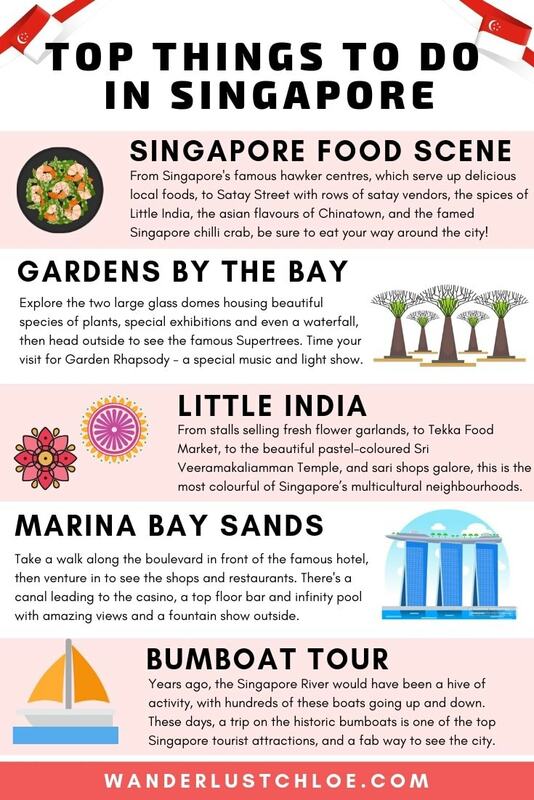 So if you’re wondering what to do in Singapore then this travel guide is a great place to start. 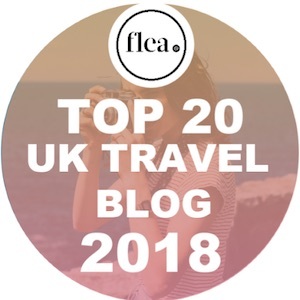 Find out how to get there in style, all about the city’s attractions, the best restaurants and bars, and how to make your experience extra special. Yes 100%! It was my first time in the city and I discovered there was plenty to see and do. The ‘city in a garden’ contains great elements from all my favourite places in the world, and packs them into a really accessible, compact city. 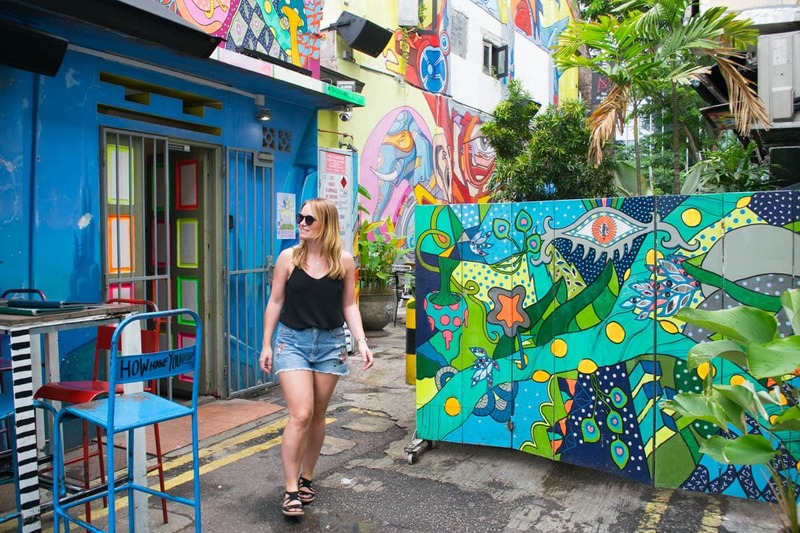 You can start the day with street food in Little India, then snap pics of the street art in super-cool Kampong Glam, head to a Michelin starred restaurant for dinner, enjoy a magical light show at the Gardens By The Bay, then top off the day by enjoying the twinkly city lights from the rooftop of Marina Bay Sands. 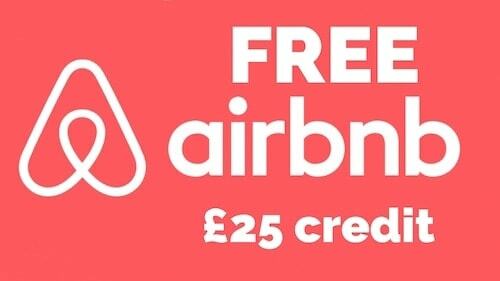 There’s something for every budget, age and taste! This was one place I couldn’t wait to visit, having seen so many photos of the gigantic illuminated ‘trees’ on Instagram! With two large glass domes housing beautiful species of plants, special exhibitions (we saw Tulipmania during our trip!) and even a waterfall, they’re well worth the $28 charge (book tickets here). 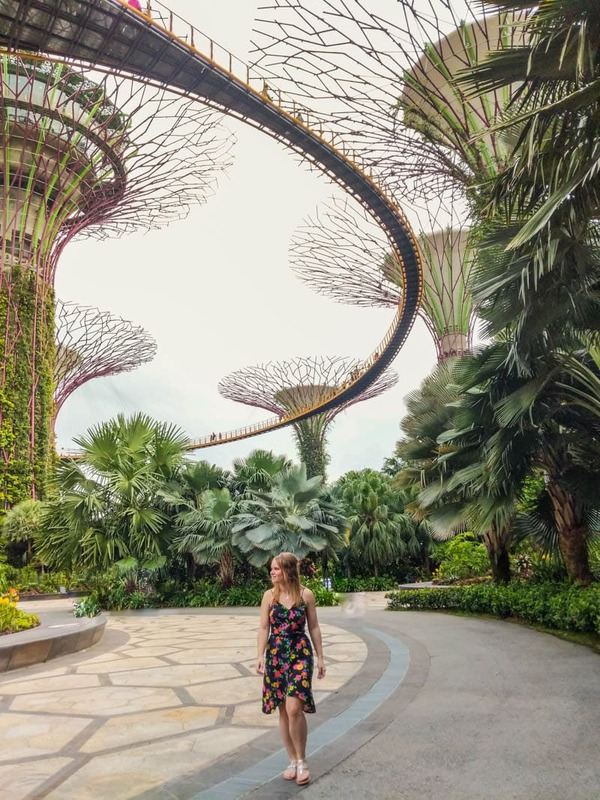 However, if you’re looking for things to do in Singapore on a budget, that works too, as you can actually wander Supertree Grove without paying any admission prices. 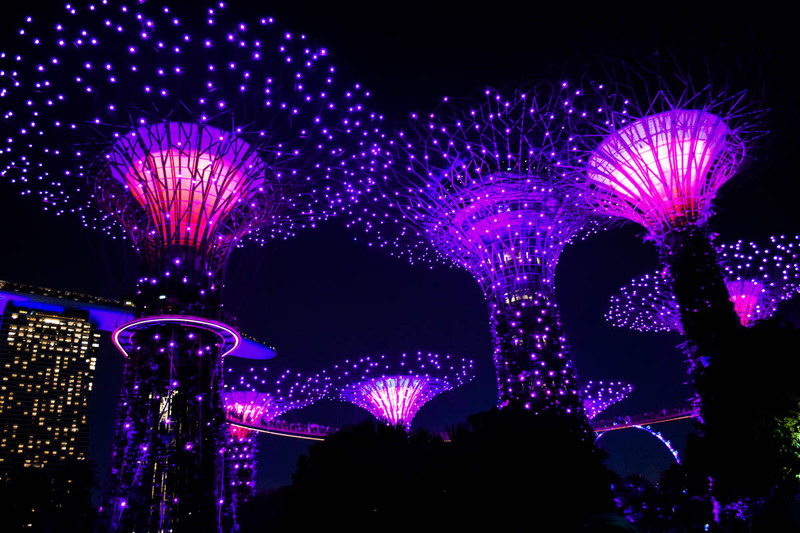 I’d recommend arriving around 4pm to explore the domes before sunset, then head out to the Supertrees to enjoy Garden Rhapsody – a special music and light show which takes place daily at 7.45pm and 8.45pm. 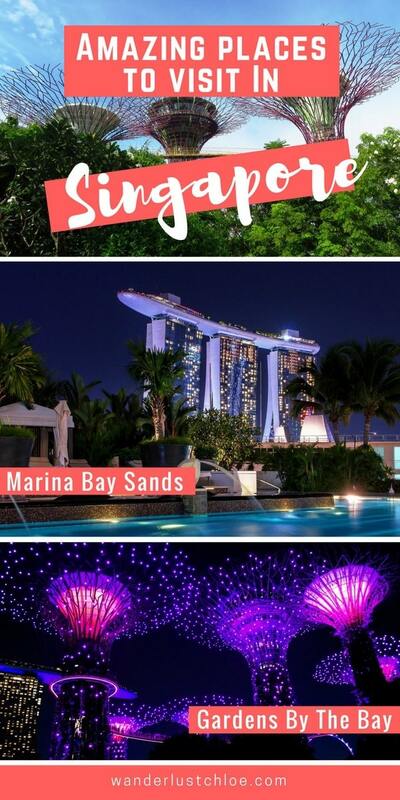 It’s one of the things to do in Singapore at night, not to mention a totally magical ways to see the city! 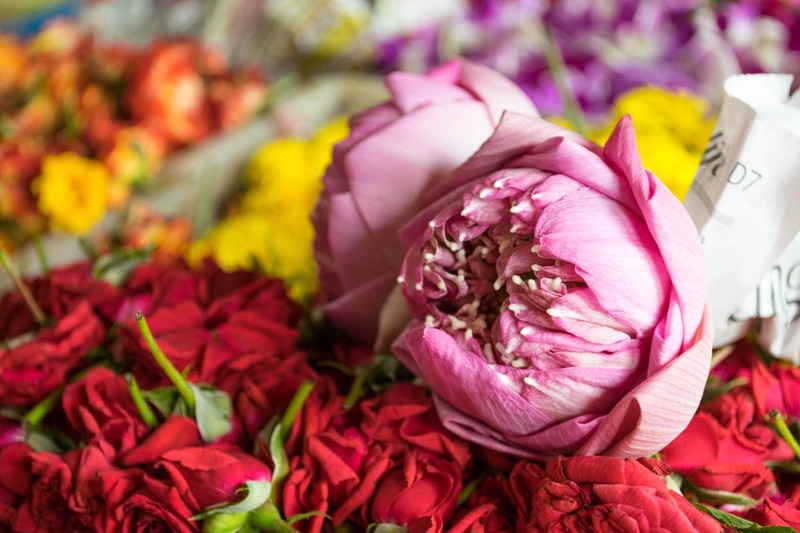 From stalls selling fresh flower garlands, to Tekka Market with its delicious curried scents of roti and pratha, to the beautiful pastel-coloured Sri Veeramakaliamman Temple, and sari shops galore, this is the most colourful of Singapore’s multicultural neighbourhoods. One of my favourite spots was the House of Tan Teng Niah, with its vibrant walls and shutters. 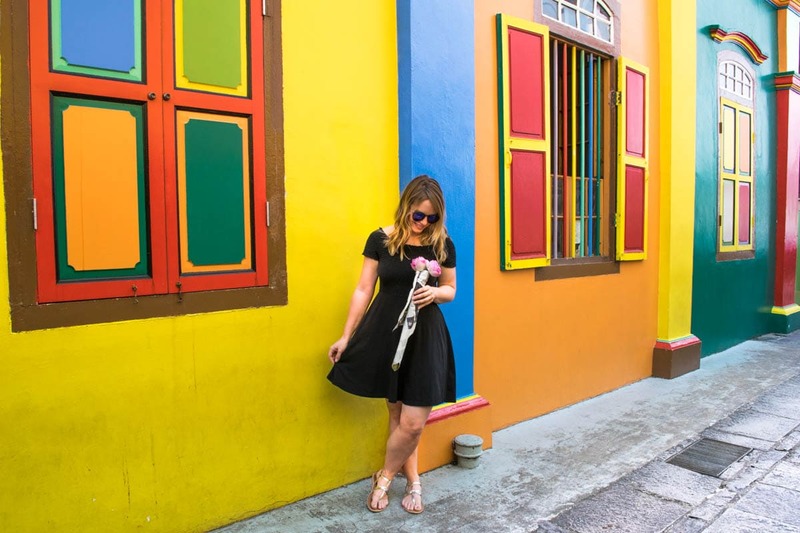 Visiting Little India is definitely one of my top things to do in Singapore, and if you fancy a bit of background, you could book a tour of Little India in Singapore here. 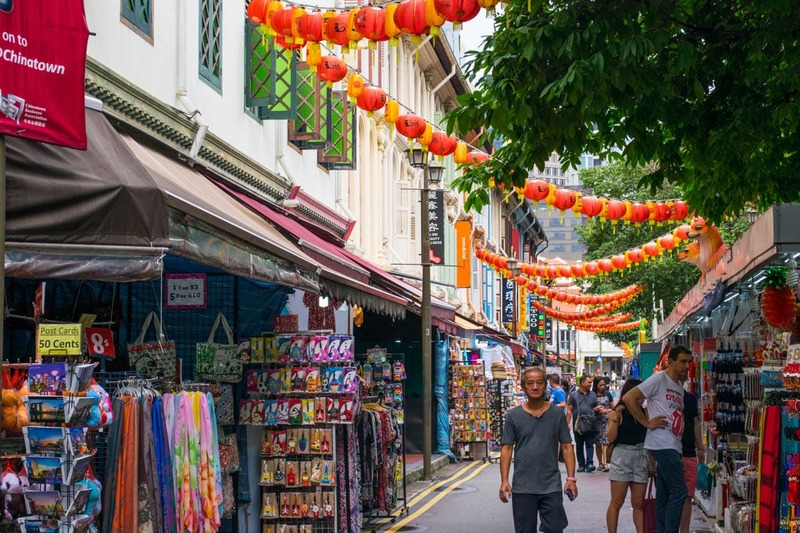 With red lanterns strung across the streets, stores selling chopsticks and beautiful teapots, and plenty of dim sum too, Chinatown is one of the top places to go in Singapore. If you’re looking for gifts, there are lots of stores selling very reasonable items. 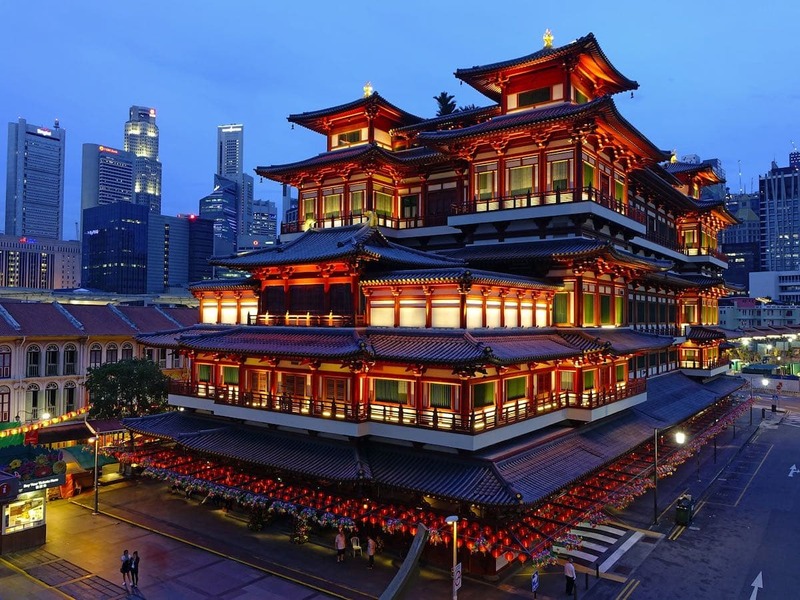 The area’s focal point is Buddha Tooth Relic Temple – a stunning piece of architecture which sits in the main square. 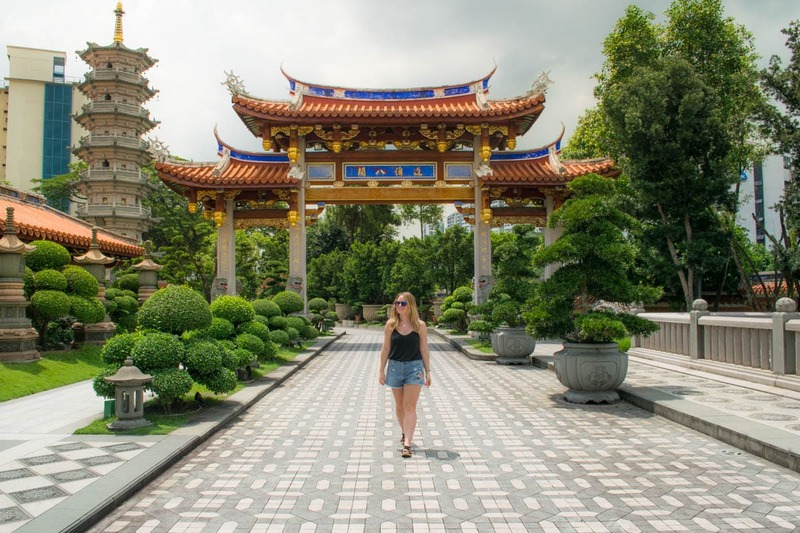 Book a tour of Chinatown in Singapore here. Hipsters, foodies and street art lovers will absolutely adore this part of the city! 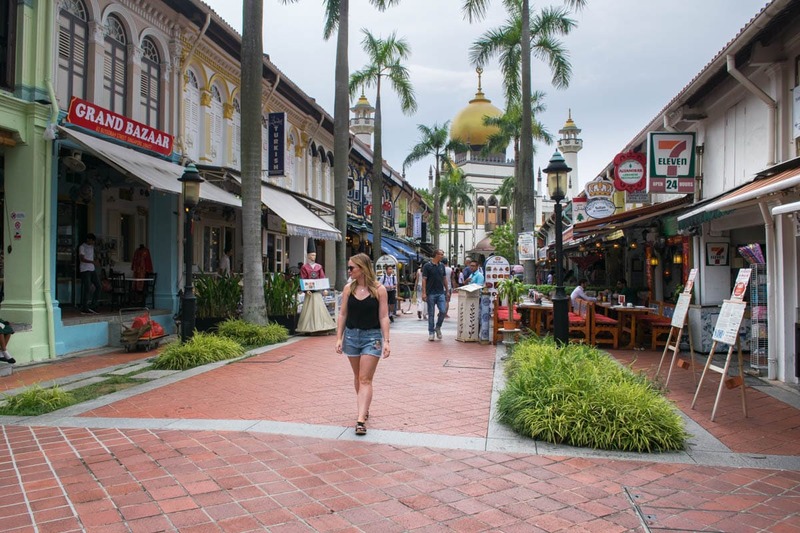 Located around Haji Lane, you’ll find Middle-Eastern cafes covered in ceramic tiles next to bars specialising in craft beer, cute boutiques like Crayon and Mondays Off, adorable ice cream parlour Lickety, and of course the famous domed Sultan Mosque. 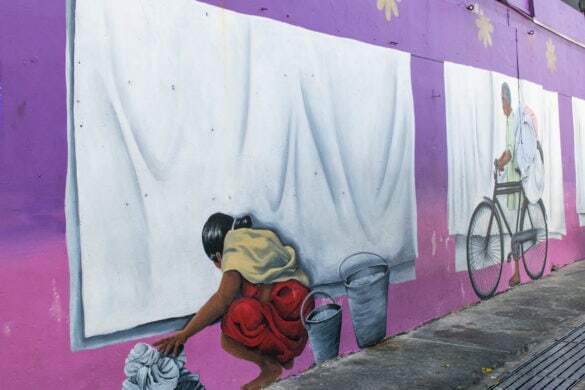 As if that wasn’t enough, the walls are vibrant too, with colourful murals at every turn. Book a tour of Kampong Glam in Singapore here. 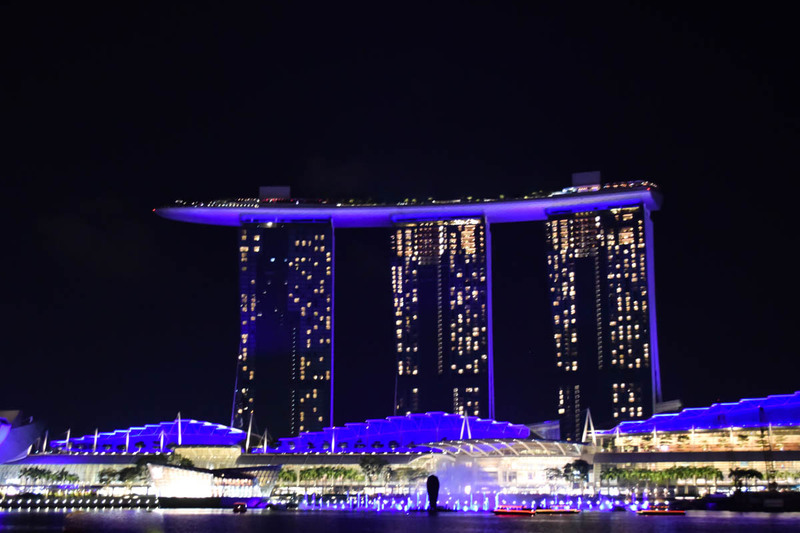 Singapore has a unique skyline, with 5-star hotel Marina Bay Sands one of its most iconic structures. Just below is the Art Science Museum, which looks like a flower crossed with an open palm! Check what’s on and see if anything tickles your fancy. 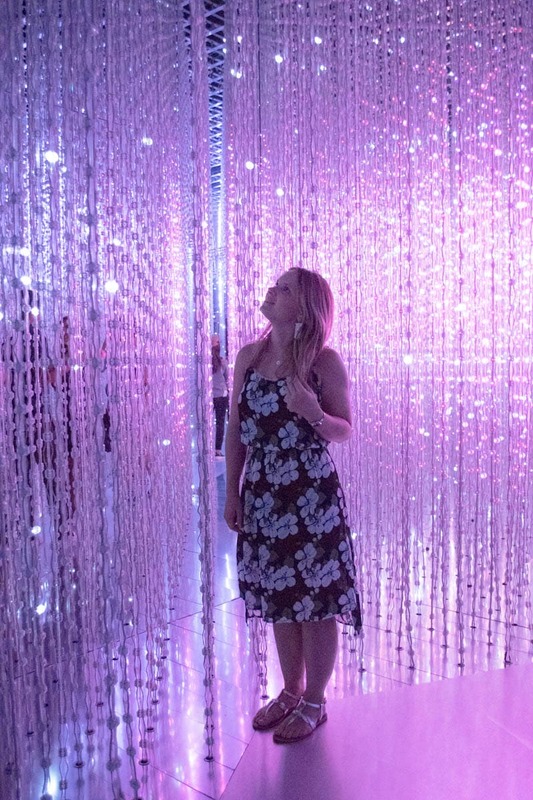 We were lucky enough to see the Future Worlds exhibition, which was a magical mix of art, light and science all-in-one! There was also an exhibition on street art and another on wildlife, so it’s also a great place to visit in Singapore with kids. 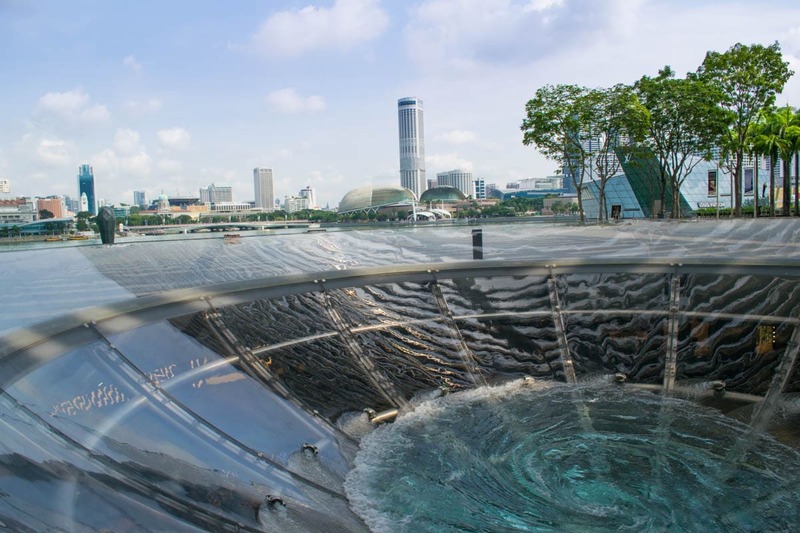 Book tickets to the exhibitions at the Art Science museum here. 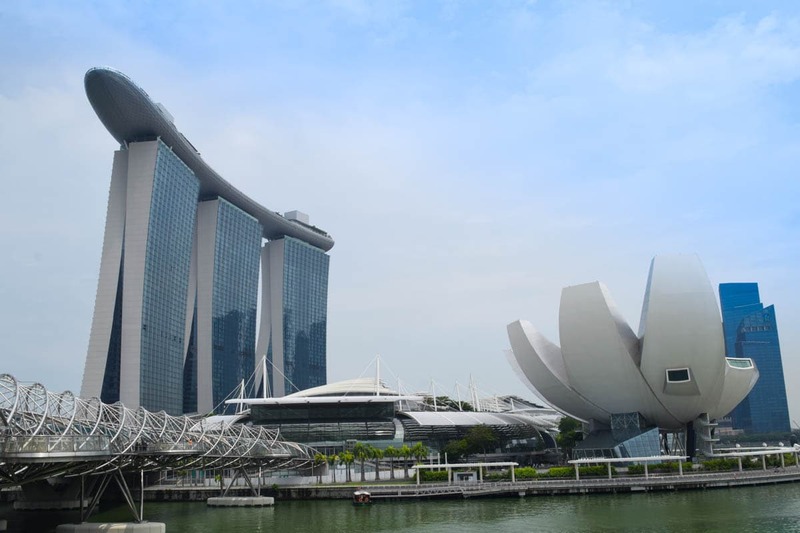 Marina Bay Sands is one of the most famous spots in the city. I’d recommend taking a walk along the boulevard in front of it, then popping in to see the shops and restaurants. Inside the building there’s a canal leading to the casino, plus a huge cascading chandelier, and an LED screen on the floor. Before doing this tour I had no interest in feng shui, and wondered if this would be a rather dry few hours in the city! I was wrong. It was absolutely fascinating, and made me see Singapore through new eyes. From learning why some of the key buildings are designed the way they are, to lucky numbers, the importance of different elements in architecture, and why feng shui masters think the Singapore Flyer (big wheel) has been unsuccessful, this half-day tour taught me a lot. It was also a great way to see lots of different parts of the city – from pretty skyline views to beautiful temples. My guide Desmond Wee even looked up my ‘element’ which revealed plenty about my personality! 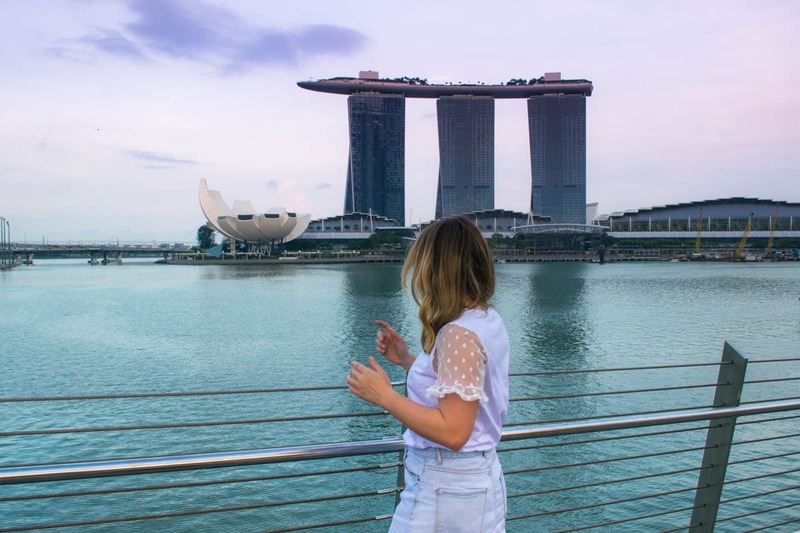 I can’t recommend this enough – definitely one of my top things to do in Singapore! 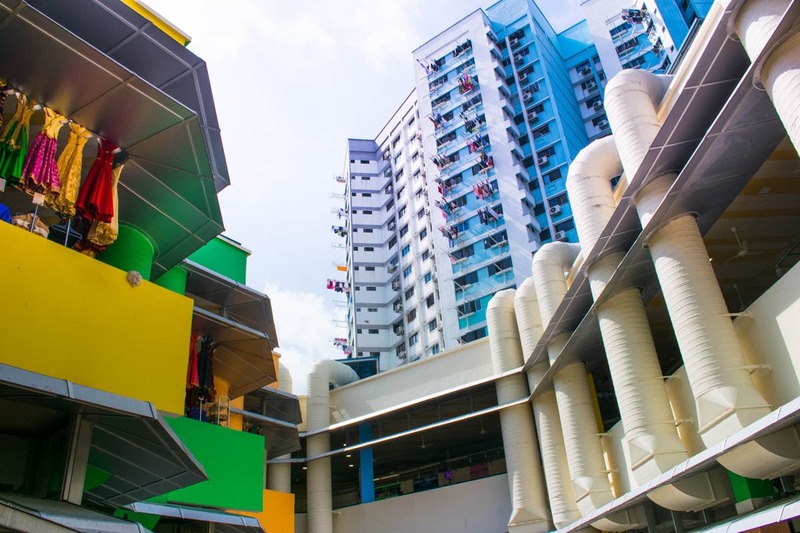 Book a feng shui tour of Singapore here. Years ago, the Singapore River would have been a hive of activity, with hundreds of these boats going up and down. These days, a trip on the historic bumboats is one of the top Singapore tourist attractions, and a fab way to see the city. 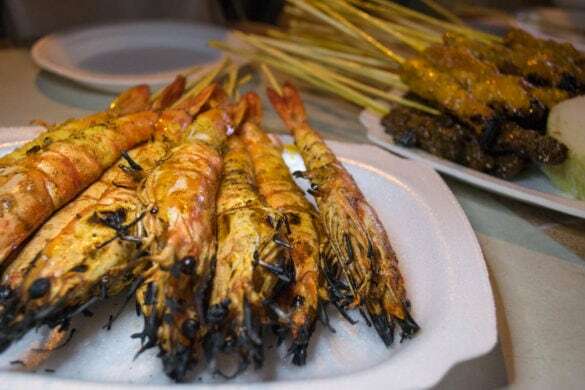 We caught one from Clarke Quay (another great area for a bite to eat and a wander) down to Merlion Park opposite Marina Bay Sands. It was a great route to snap some photos of the city skyline too. 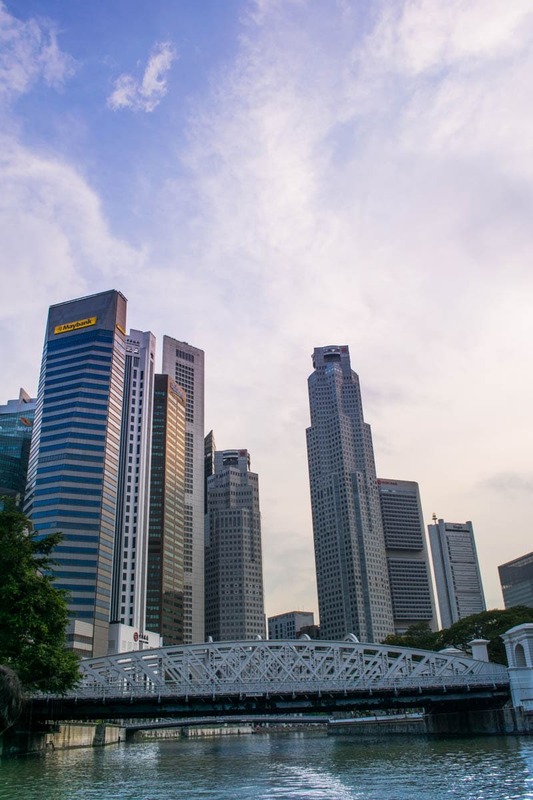 Find out more about Singapore River Cruises here. Spago At Marina Bay Sands – You can only visit the rooftop of Marina Bay Sands if you dine at a restaurant or have a drink at the bar. We headed to Spago and enjoyed tasty, boozy, cocktails with a view of the twinkly skyline. Sadly the famous infinity pool is only open to hotel guests, but the views are still worth the slightly overinflated drinks prices! Little India Street Food Tour – This is one of my top things to do in Singapore as I love exploring a city through its food! I always think it reveals so much about the history, culture and people. 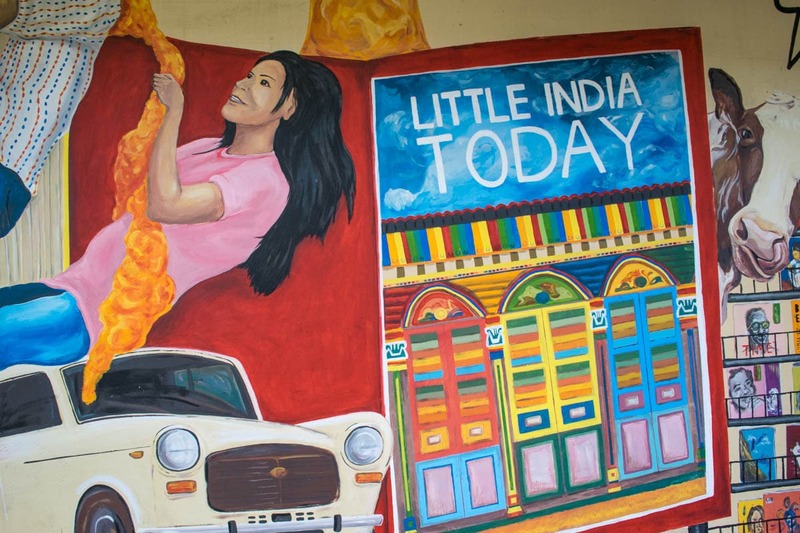 This one with WokNStroll was a fab introduction to Little India. We enjoyed a thorough tour of Tekka Market and the Wet Market, trying teh halia (a tasty ginger tea), masala thosai (a pancake filled with spiced potatoes), dosa, pratha and exotic fruits including mangostines. Find out more about the Little India Tour I went on here. 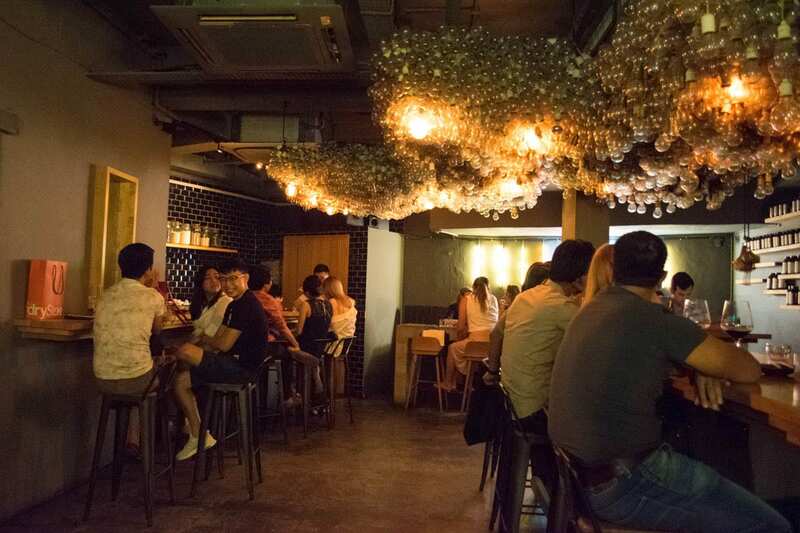 Operation Dagger – Singapore is home to some trendy speakeasy-style bars. This one is tricky to find, entering through an unassuming door with a logo on, and heading downstairs to an underground lair. It’s pretty stark inside, with muted colours, jars of concoctions, and a funky light feature made from hundreds of bulbs. Cocktails are unique to say the least too so prepare for the unexpected! Potato Head – Another trendy Singapore bar serving fab cocktails, Potato Head is spread across a few levels, like an old eccentric’s house! My favourite area was the rooftop with its twinkly lights and DJ in the evenings. 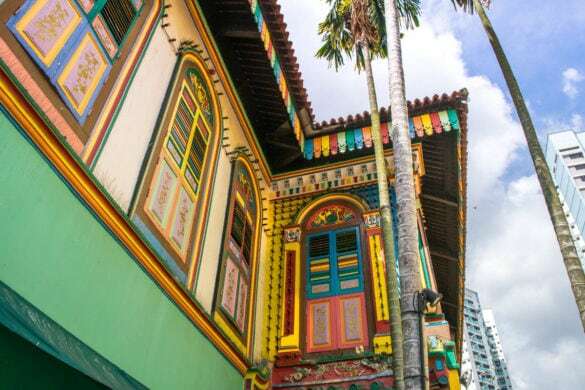 Folklore Restaurant – If you want to get to know this city’s cuisine, be sure to sample some Peranakan food (a combination of Chinese and Malaysian flavours). 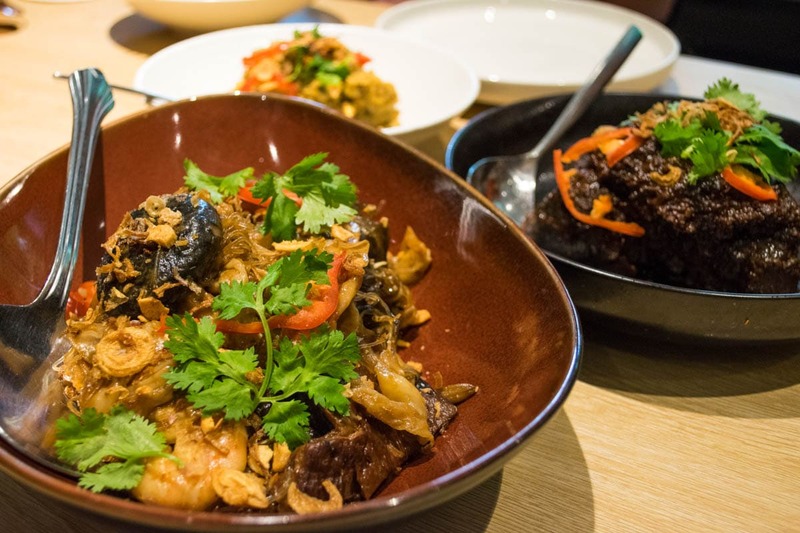 This restaurant serves up tasty dishes including beef cheek rendang, peranakan chap chye (a vegetable stew with pork and prawn stock) and babi assam (a deliciously sweet sticky pork belly). Plus for TV lovers, the head chef is about to be the judge on Singapore’s Masterchef! 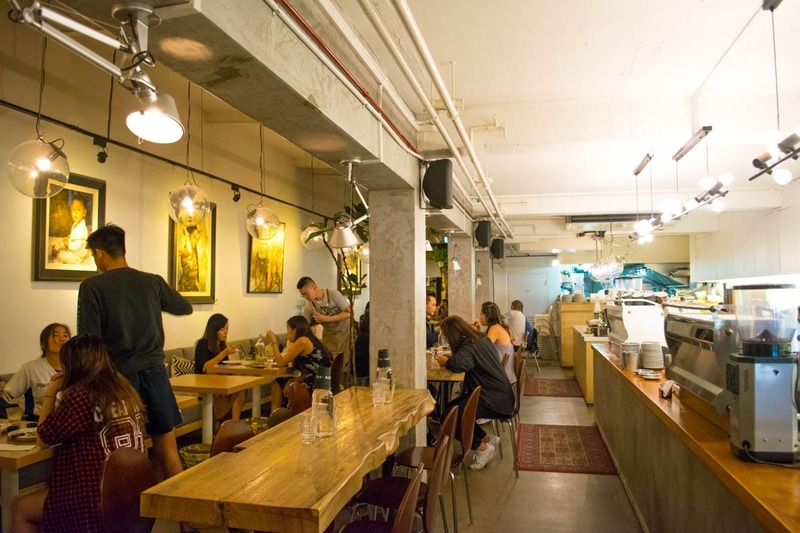 Curious Palette – Located in the Bugis neighbourhood, this is one of the city’s most Instagrammable cafes. I loved the low hanging lights, comfy chairs and chic vibe. From crunchy duck salads to juicy Waygu burgers, and truffle sweet potato fries, arrive hungry as portions are big! 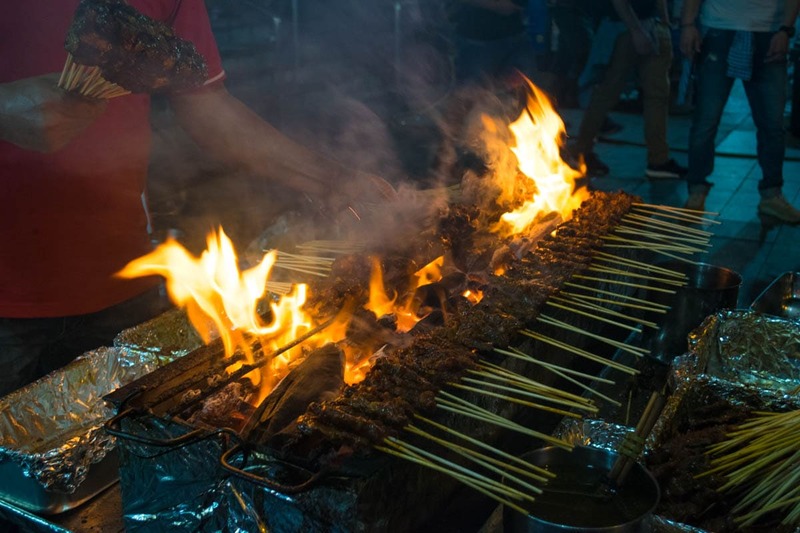 Satay Street – In the mood for Satay? Head to Boon Tat Street, aka Satay Street! Several street food vendors set up here every single evening, with rows of tables laid out, and BBQ smells wafting through the air. The stalls are numbered, and no.8 was recommended to us, but they all looked very similar. Along with classic chicken satay, we also tried mutton, beef and prawns. It was a cheap and delicious meal! Palm Beach – Overlooking the water and facing Marina Bay Sands, this is a spectacular spot to dine at. 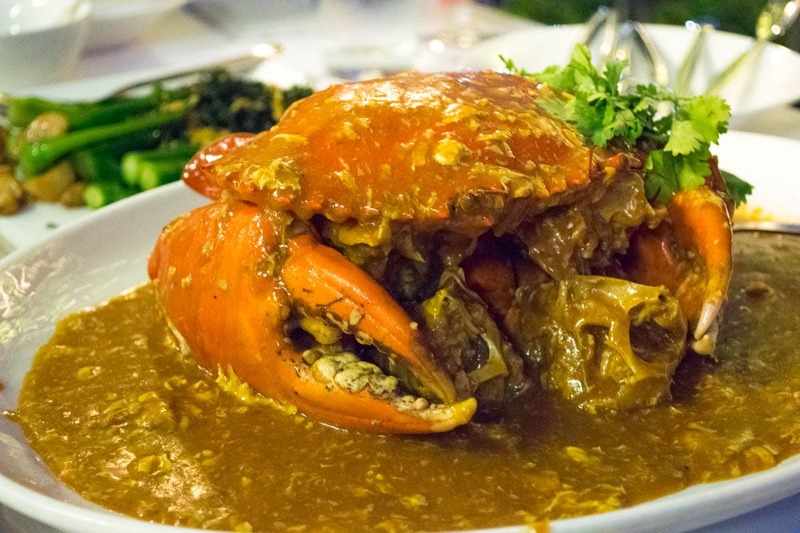 This restaurant has an excellent reputation, and is particularly famous for its Singapore chilli crab – something you just have to try when you’re visiting for the first time! Candlenut – I was SO excited for our Michelin starred meal in Singapore. This restaurant specialises in high-end Peranakan cuisine. We enjoyed a tasting menu with plenty of dishes to share. For me, the stand out courses were the beef rendang (so tender, it just fell apart) and the crab curry which was served in a creamy coconut sauce. If you really appreciate good food, then this is definitely one of the top things to do in Singapore! The tasting menu is $118 per person, so this is definitely somewhere for a special occasion. Suzette – This is a cute spot for a coffee and a cake close to Marina Bay Sands. They serve excellent (strong) coffee, desserts including lemon meringue pie, and waffles toped with ice cream. 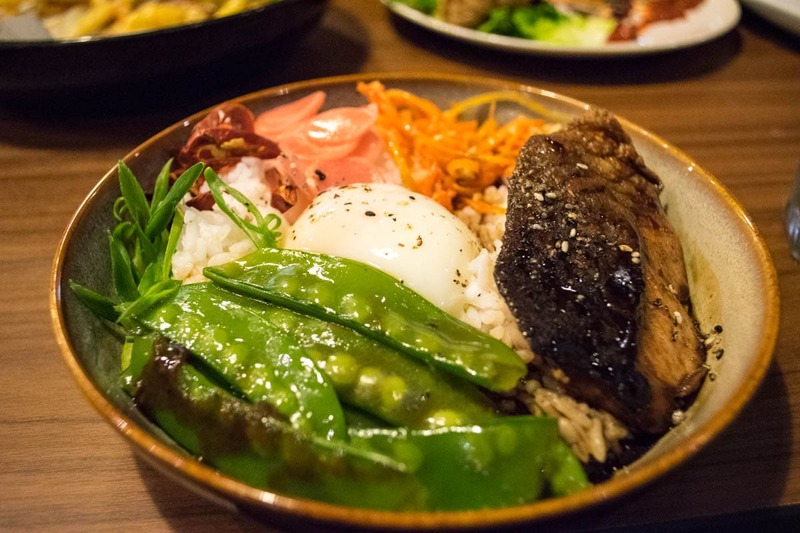 The Quarters – We stopped by here for casual lunch, enjoying rice bowls with a variety of toppings. The teriyaki salmon was delicious, and the satay burger was fun, using two fried rice patties instead of a bun! Keisuke Tonkotsu King Four Seasons – Ramen is one of my favourite meals, so when I heard there were some great ramen bars in Sinagpore, I just had to squeeze one in! Keisuke is a small chain of ramen joints, started by Hiroshima-born Keisuke Takeda. Each restaurant specialises in something different (for example the branch in Clarke Quay serves up lobster ramen). At this branch (Four Seasons) there were 4 different bowls of noodle soup named after the seasons, plus a 5th named King Ramen! The tonkotsu broth was SO delicious, and after an early start, I felt it cured me of my tiredness! 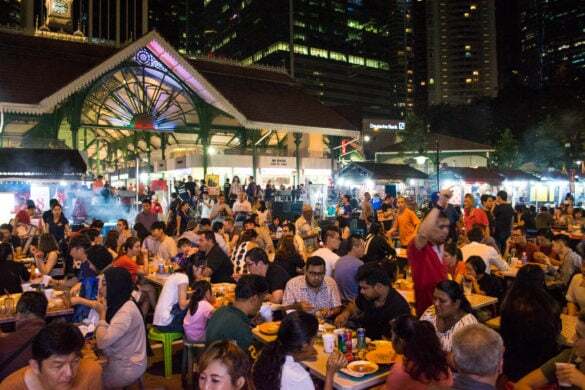 Gluttons Bay – Sadly I didn’t make it here, but this food street market opposite Marina Bay Sands, open from 5pm, serves up traditional dishes at reduced prices. Enjoy Singapore chilli crab, chicken rice, carrot cake and more! 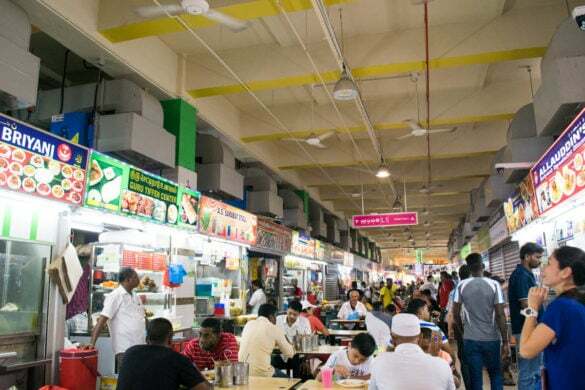 Hawker Centres – There are several hawker centres across the city, and many say this is where you find the city’s best food. It’s also a perfect lunch or dinner spot for anyone on a budget. With one seller recently earning a Michelin star, it’s well worth a visit! 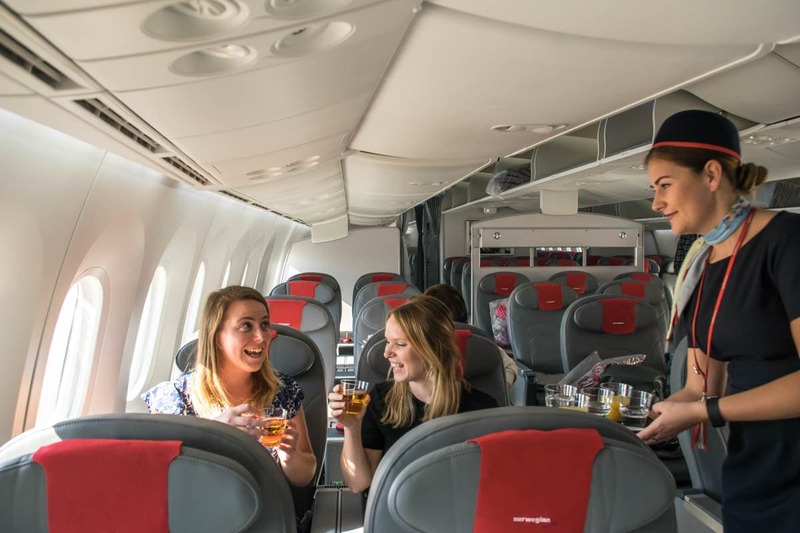 I flew with Norwegian who offer affordable long haul flights to Singapore staring from just £179 one way (or £1,099 return in Premium). 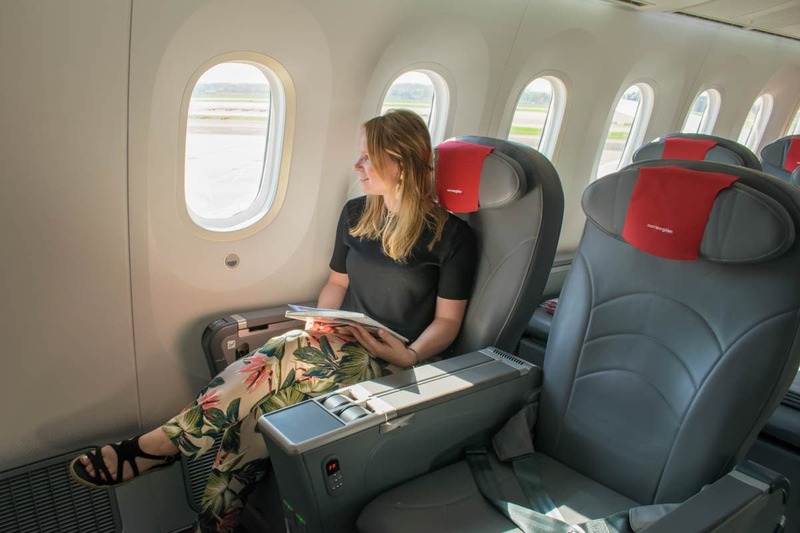 I got to relax in Norwegian’s premium cabin, which considering it’s a 12-13 hour flight, was really appreciated. 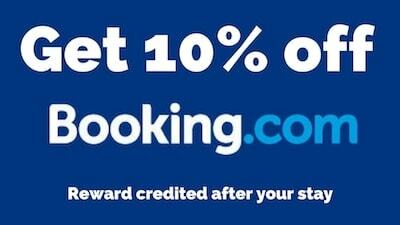 By flying premium you get to enjoy several perks as part of the ticket. 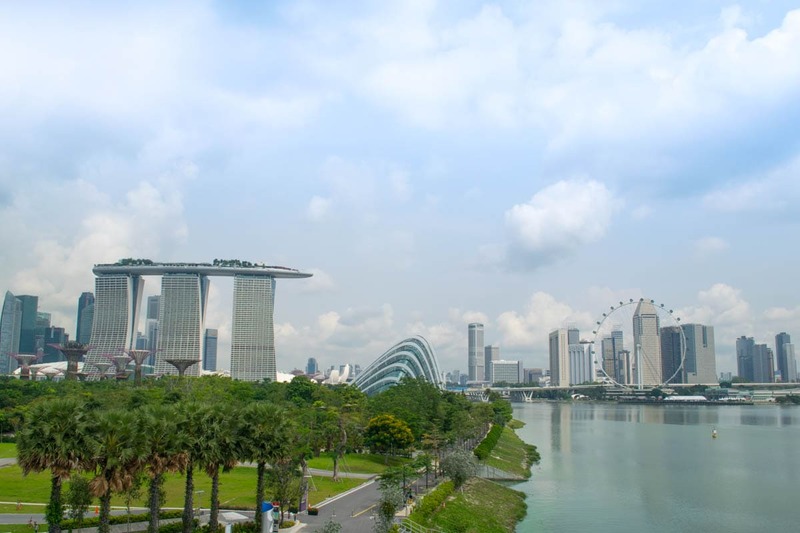 Along with priority check in, plenty of baggage and fast-track security, you also receive lounge access (No.1 Lounge at London Gatwick and SATS Lounge at Singapore Changi Airport). The big benefit though is the space on board. The seats recline right back, and there’s a pop out footrest which makes it super comfy. I’m only 5 ft 1, and had enough room to fully stretch out, but I noticed taller passengers had a lot of room too. Service on board was really friendly, and the food was a big step up from economy, with options including lamb fillet with rosemary potatoes and slow cooked brisket with creamy mash. I loved the little extras, including the on-screen bar menu (just select your cocktail and they’ll deliver it to your seat!) and the offer of Baileys after the main course. 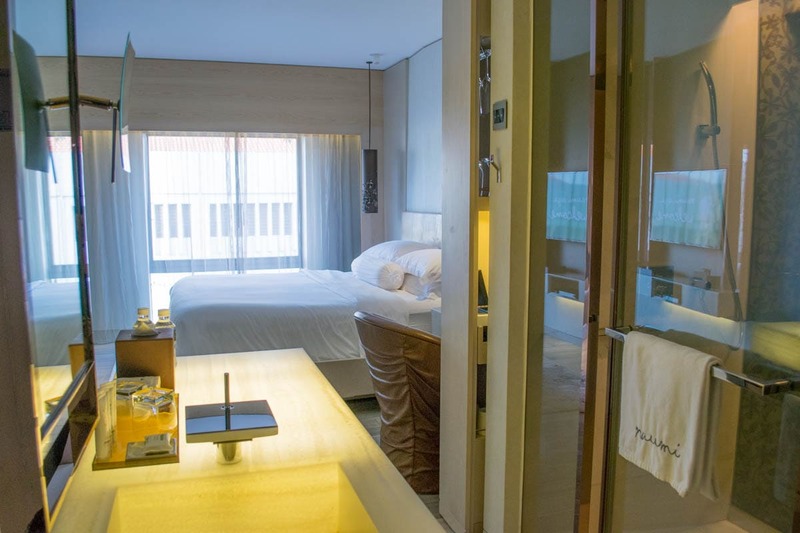 I stayed at the Naumi Hotel in Downtown Singapore. This smart 5-star hotel has modern décor and felt very chic inside. Just a stone’s throw from Raffles Hotel, my favourite feature was its rooftop pool which offered amazing views of the city. It was the perfect place to relax after a day of exploring in humidity. I visited Singapore with Norwegian and Visit Singapore. As always, all opinions are my own. Let me know if you have any questions! I agree it’s a small country with a lot of character!! It’s got so much happening! This is great, thanks Chloe! Have a great time there! Fab food scene! Such a great post. I hope that one day I have the chance to visit Singapore. I love the look of it because of its various cultures and street food. I also have some friends from Singapore who are very nice and friendly. I`m sure that my experience there will be one of the most memorable moments in my life. Thank you!